State Representative Lisa Hernandez, Berwyn Mayor Robert Lovero, and 7th Ward Alderman Rafael Avila invite you to attend a Veterans Job Fair on Saturday, Jan. 28 from 10am to 2pm at the Berwyn VFM Hall located 1529 S. Harlem Ave. Join them for a day of free informational seminars on career opportunities. 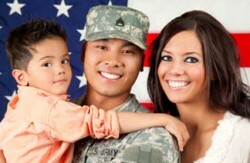 State and local resources are available for Illinois’ veterans. For more information or to RSVP, contact Re. Hernandez’s full-time constituent services office at 708-222-5240.